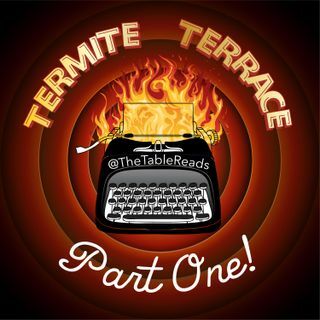 Table Reads co-founder and YouTube's own Looney Tunes Critic is back on Table Reads for the most appropriate script ever: Termite Terrace, the failed Joe Dante project that would have told the interesting tale of the birth of the Looney Tunes in probably the least interesting way imaginable! In part one, you will meet all the pseudonymous creators of your favorite cartoons--and I do mean ALL, right down to the guy who delivers memos--while also learning IN SUCH DETAIL how an animated ... See More cartoon is made! It's like reading the script to an instructional video from the 40s! It's a good thing Shawn and Trevor are here to put this script in it's place, while also doing a better job than the script at telling the real origins of the Looney Tunes, as animation history is a passion of theirs going back decades.